Successfully managing your social media efforts takes more than just creating an account and posting a few updates every now and then. In order to really make the most out of social, you have to actively listen to what people are saying and be very mindful of each post or response that you put out there. The good news is, doing all that doesn’t have to take a ton of time and money. With the right tools (most of which are free) and a solid strategy, you can effectively establish a strong social media presence that your customers respond to. To help you accomplish this, we caught up with social media maven, Kelly Mahoney. Kelly is the social media manager for CompTIA, a non-profit trade organization for the IT industry. Kelly stays on top of CompTIA’s social media channels globally and across platforms, and she also takes part in the organization’s educational initiatives by offering webinars to their members and registered users. In this post, Kelly shares her thoughts on successfully managing social media. Below you’ll find tips and tools on conducting social listening, connecting with your audience, and recovering from social media blunders. We’ve also included some examples of what to do (and what not to do) to help you put her insights into action. 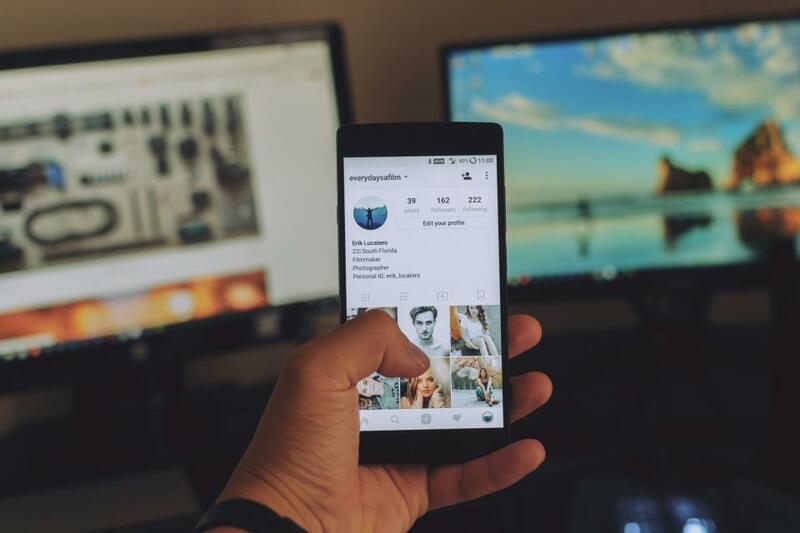 With millions of updates being posted on Facebook, Twitter, and Instagram everyday, it can be difficult to stand out and grab the attention of your target audience. Fortunately, there are a number of things you can do to get people looking your way. Don’t worry if you lack the design chops to create stunning images, or if you’re on a tight budget. There are some free to low-cost tools and services that you can turn to. If you have $300 and up to spare, you may want to check out 99Designs.com, a site that connects you to numerous designers. You just have to specify what you need (i.e. logo, banner, poster) and designers will submit their ideas for your consideration. Pricing at 99Designs.com ranges from $299 to $1,199. Speaking of negative reviews, if you get some not-so-pleasant posts on your page, don’t sweat. Recognize that responding to these comments can actually help your business. In addition to giving you the opportunity to tell your side of the story and turn things around with a particular customer, replying to negative reviews helps you make a great impression on other people viewing your page. A great example of this in action can be seen in the Yelp page of Kenny & Zuke’s SandwichWorks. A customer left a lackluster review for the business, and the owner of Kenny & Zuke’s responded by addressing their concerns and making a few recommendations. This brought the customer back to the business and he subsequently left a more positive review after his second visit. According to Kelly, the organizations that are doing well on social media are the ones that are nimble and can quickly use trends to their advantage. “When news stories come out, or when there are trending items, they are able to get on those trends and appropriate them for their content quickly. That’s really the key to social media magic,” she added. One of the best examples of a brand that successfully capitalized on a trending news item comes from Oreo. In 2013, a power outage hit the Super Bowl in the third quarter, causing a lengthy delay. Oreo quickly reacted by posting a power outage-related update on Facebook and Twitter. The post, which featured an image with the caption “You can still dunk in the dark,” got tons of attention and put the brand in the media (and likely on their customers’ minds) for the next several days. Oreo’s move was so successful that the update garnered 21,000+ likes and 6,000+ shares on Facebook, and was retweeted more than 15,000 times on Twitter. Try to do something similar in your business. Keep an eye out for noteworthy news items and trending topics that you can jump on, then quickly (but tastefully) create content around them. You can do this by simply paying attention to what news outlets are reporting, then acting quickly when you find a topic you can post about. You could also monitor what’s trending online, using a tool like Google Trends, which displays the latest trending searches or by looking at the most popular trends and hashtags on Twitter. That said, while it’s a good idea to follow trending events or hashtags, you shouldn’t jump on a topic without doing your research. As Kelly put it, using hashtags without understanding what they’re about is a costly mistake. DiGiorno learned this lesson the hard way when it used the hashtag #WhyIStayed to promote its products, without knowing that it was a hashtag used to raise awareness for domestic violence. Needless to say, the brand got a lot of backlash. DiGiorno deleted the tweet, apologized, and explained that it did not research the hashtag before posting. “Every tweet that you tweet, regardless if you delete it or not, is cataloged by the Library of Congress,” she added. Of course, blunders do happen, and if you commit a social media faux pas, you’ll need to act quickly and gracefully to redeem yourself. As an example, she talked about an awkward social media situation that the American Red Cross found itself in. A few years ago, one of their social media specialists—who thought she was tweeting from her personal account—posted an update about “getting slizzard” (in other words getting drunk). Unfortunately, the tweet went out to the American Red Cross’ official Twitter account, and remained up for about an hour. However, the Red Cross was able to avert a PR disaster by handling the situation in a good-humored way. “We’ve deleted the rogue tweet but rest assured the Red Cross is sober and we’ve confiscated the keys,” it tweeted. Of course, not all social media blunders are created equal. The Red Cross’ tweet, while awkward, was still relatively tame because it didn’t contain any profanities. Kelly said that if a brand makes the mistake of posting some thing vulgar or racist, they should consider deleting it. “One of the social media mistakes that just breaks my heart is when brands set up and account and then never visit it again,” Kelly said. If you’re pressed for time, she recommended that companies either find someone to be responsible for managing your accounts, or be more diligent about setting aside some time for the tasks. You could also use social management tools such as Buffer or Hootsuite, which allow you to schedule posts in advance, so you won’t have manually push out updates. Kelly also advised companies to use social tools to filter out inappropriate comments. Social media isn’t just a fad or bandwagon that you can jump into—it has actually grown to be a critical component of any company’s marketing mix. So invest the necessary resources to learn and do well on social networks. You’ll find that if you do it right, social can pay dividends in engagement and sales. As Kelly put it, “social media can be the greatest thing to happen to your marketing department. Embrace it."